Hello all you DIY enthusiasts, time to get your mind wrapped around the “DIY in 2018” mindset. It’s time to figure out what great projects you will be building. Something indoors is always good when Jack Frost is still hanging around, but why not get started on designing your new backyard? 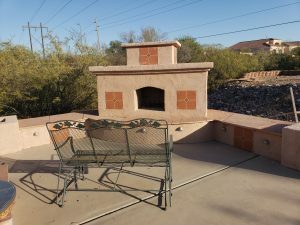 Lots of seating surround this enormous fireplace and pizza oven structure. Bring that outdoor living space to life and build a beautiful outdoor fireplace and outdoor kitchen in your back yard. While you’re at it, add a pizza oven and a sitting area. 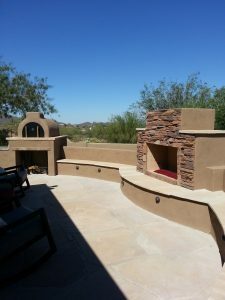 Cover the whole project in faux stone veneer and stucco with a matching paint color and get to living outdoors. 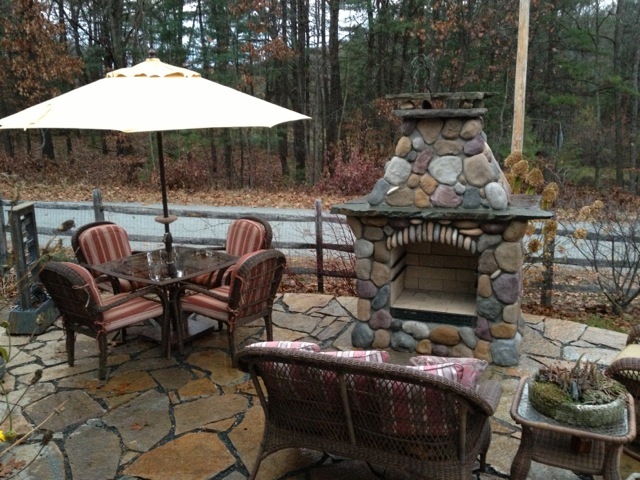 The new year brings great deals and lots of sales on grills, grates, outdoor furniture, and even building supplies too. 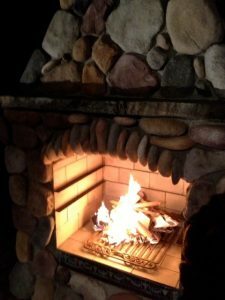 Grilling out during the super cold months of January and February probably aren’t optimal, but if you get the supplies and the plan ready, you can start building right when the weather turns for the better. We here at Backyard Flare can help you with a great design and we can certainly work with whatever structure shape you want to achieve. Give us the dimensions and space you have to work with and we will show you some great possibilities. We will work with you along the way and you’ll stay involved during the whole process. It’s a fun process and you’re in charge. Have a great beginning to your 2018 and let us help you get into the “DIY in 2018” mindset. Happy New Year and happy building. 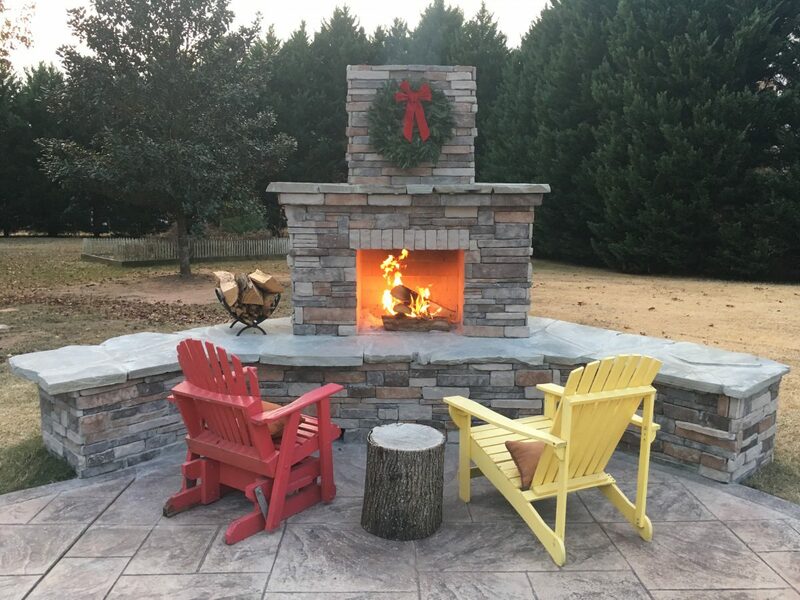 After building your outdoor fireplace, outdoor kitchen, or other outdoor structure, there are endless ways to finish the look. You will have to consider options for both your horizontal and vertical surfaces as well as extra bling such as lighting. This article isn’t long enough to possibly explain or list the seemingly endless combinations of veneer and seating options so we’ll just briefly talk about a few of the more popular looks. There are a lot of manufacturers that make and deal in different types of products but they all effectively do the same thing. 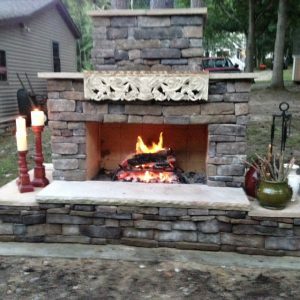 They add a beauty to the outside surface of your outdoor fireplace. 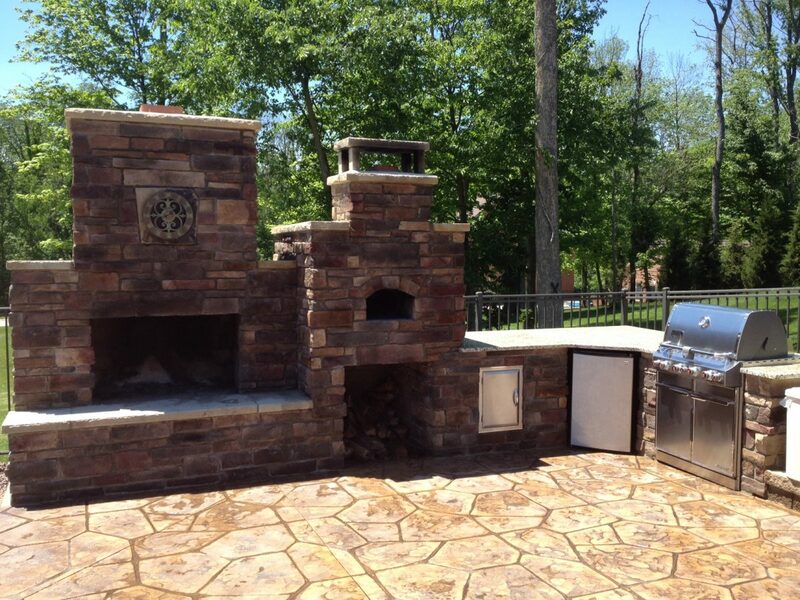 Faux stone, tile, stacked real stone, and stucco are among the most popular looks. The basic purpose of these vertical veneers is to cover the drab gray cinder block. Let’s go through them one by one. 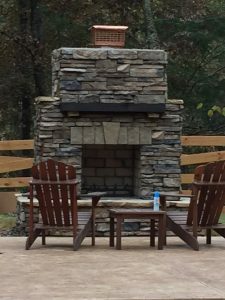 Faux stone looks very realistic and it can add a rustic look like the fireplace was built entirely out of rock. Lots of different looks are available. Tile veneers can expand into regular ceramics or even a natural travertine stone. These tile veneers will give you a more modern look most of the time. 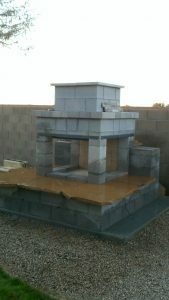 Stacked stone is a real stone that has been milled and shaped so the pieces fit together nicely. Some of the better products will look seamless. 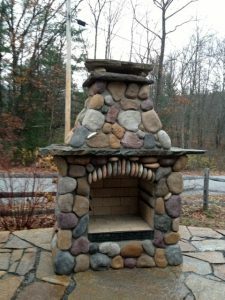 The small size of the stone allows for several different colors and stone variations to be used in conjunction with each other. Very elegant. The final veneer that offers a great look is stucco. 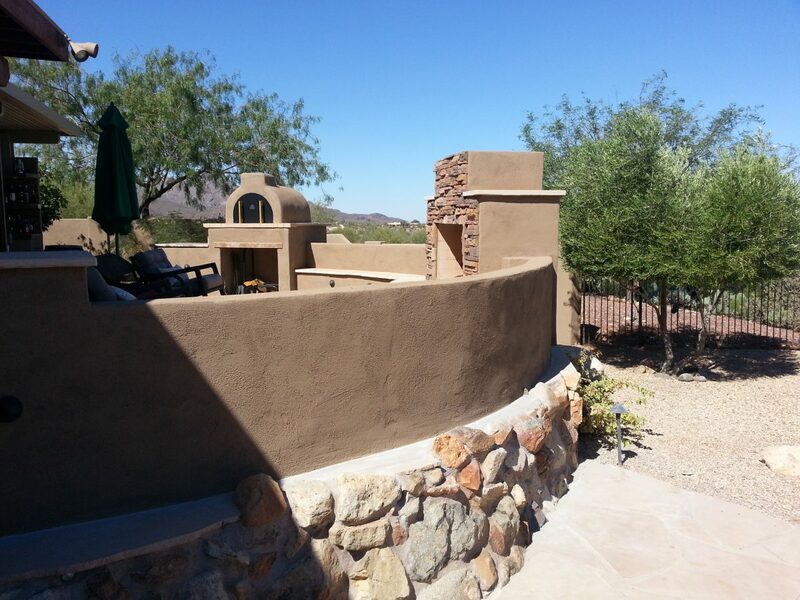 Stucco can be textured or applied as a smoother surface. 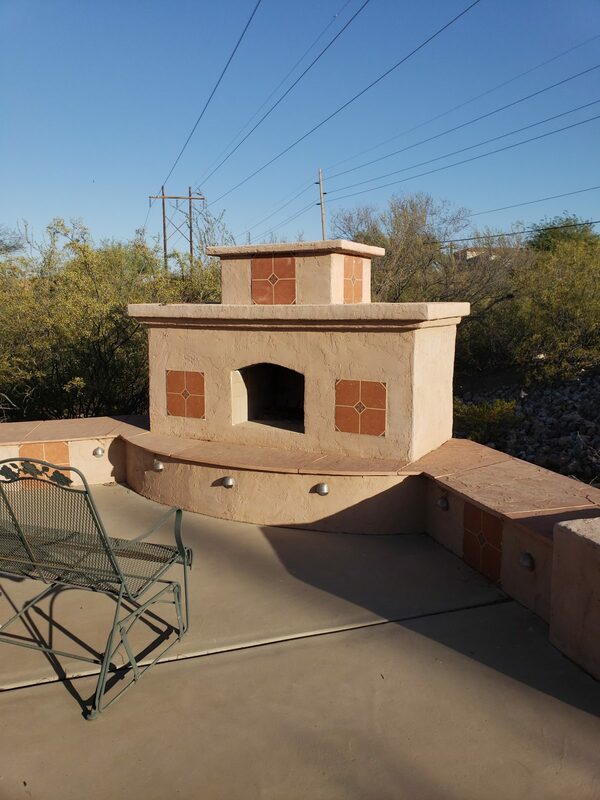 The beauty of stucco is that it weathers well and it can be painted to match other items in your backyard. 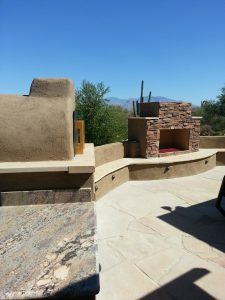 When it comes to the horizontal surfaces of the outdoor fireplace, look to natural stone for a smorgasbord of different textures and colors. Most of this stone is very easy to work with. You will cut the sections of stone with the same diamond blade you used to build your cinder block structure. If you decide on the color of the vertical veneer and the horizontal surface material at the same time, you can pick great matching elements. Certain colors and textures really complement each other but there is definitely no “one way” to complete the finish work of the structure. As far as veneer and horizontal surface material is concerned you have more options than you can imagine. 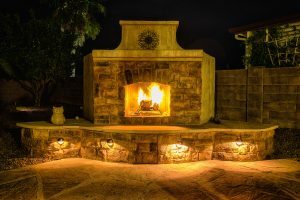 Lighting is a great way to add that special flair to any outdoor fireplace. It brings a certain elegance to the fireplace and if used along the bottom of the hearth, it will frame it nicely. Low voltage lighting is the way to go for this look and the addition of this lighting is relatively inexpensive. 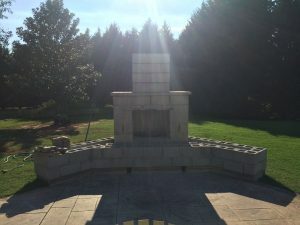 Comment on this article with your thoughts. 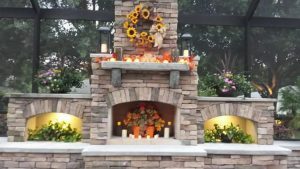 Share your favorite final look and/or what you did to make your fireplace a one of a kind. Visit us at www.backyardflare.com for great content and ideas for your outdoor fireplace. 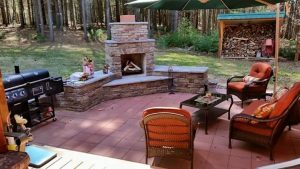 If you have ever wondered how to go about building your backyard to perfection, then keep reading. We hope this article will give you a bit of guidance. 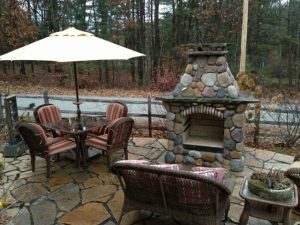 For many, their backyard area is an eyesore. Others just need a bit of spicing up. 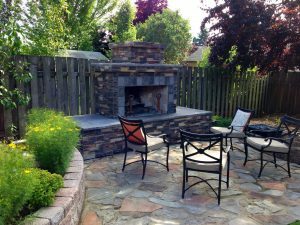 If you are in either category, you can achieve the perfect backyard if you adhere to the right phases in the right order. The first phase is planning the layout. Step back and really look at what you have. This will be a great time to brainstorm with a tablet of paper and pencil to sketch out different scenarios. By drawing different layouts on a piece of paper, you can compare the different possibilities and see what works the best for your space. You may find that certain layouts will make better sense than others. Talk your ideas over with family and friends and take in their ideas. You never know, you may not have thought of everything. 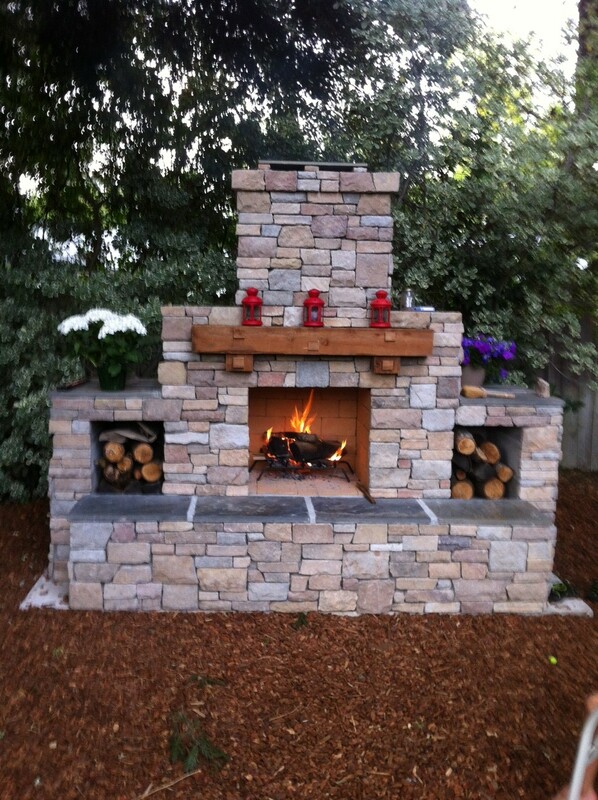 Custom Pima Design with added wood storage voids. The second phase is gathering what you will need to get the job done. 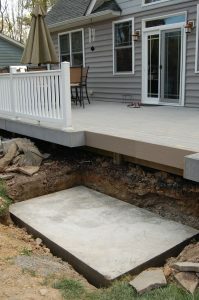 This includes everything from a construction plan, the tools necessary, and the materials needed to build your project. 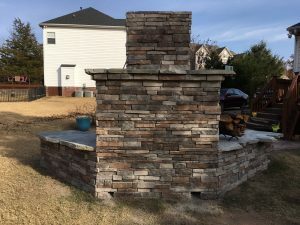 If you are wanting to build a masonry structure, have the vendor deliver the blocks, mortar, and cement on a pallet to as close to the work site as possible. The tools needed are sometimes specialized so you won’t have too many other opportunities to use them again. 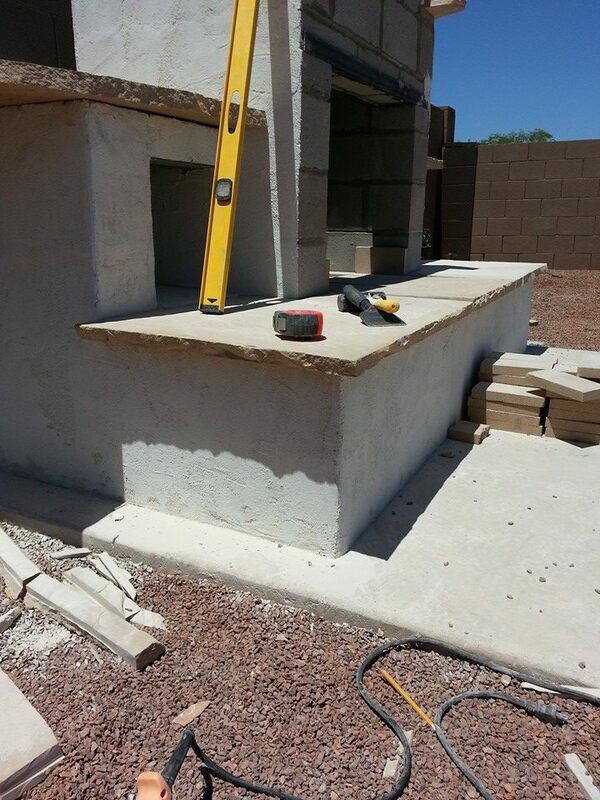 These will be trowels, masonry cutting blades, etc. Borrow what you can and don’t buy them if you don’t have to. If you must buy a tool, buy cheap, and even if you must buy two, it still may not be as expensive as one professional grade tool. 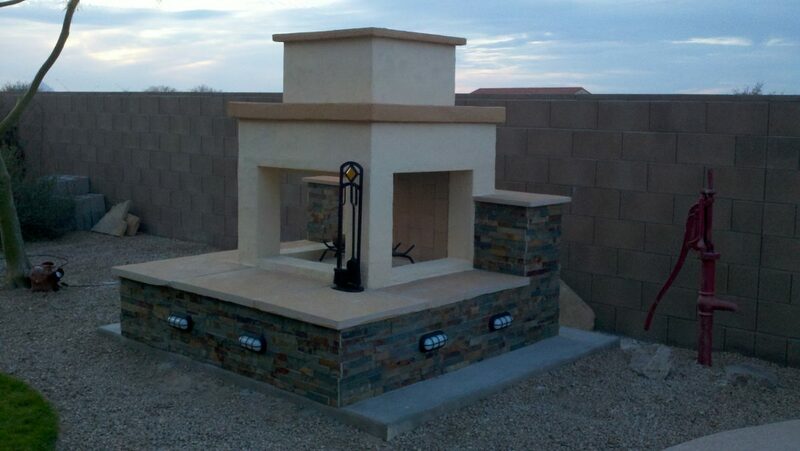 Modified Pima Design with wider chimney stack. The third phase is the best part, the building of the project. 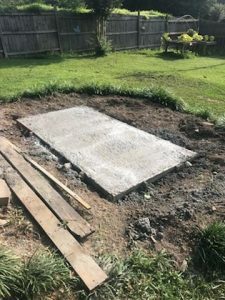 A solid foundation is paramount for many masonry structures due to their weight. 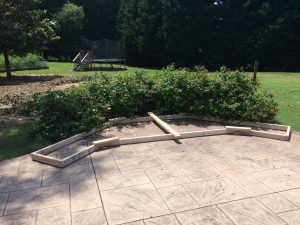 A lack of stability under a masonry structure could result in shifting and cracking. The building phase is a great time to get help from family and friends. Sometimes a pizza and beverages go a long way. The building phase will be the part everyone will see so definitely take your time and pay attention to the small stuff, the detail, the minutia. 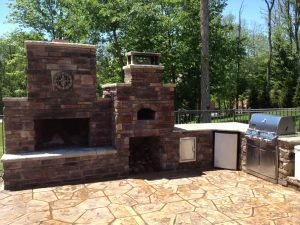 It’s the attention to detail that will make your project a stand-out backyard. When you get to lighting and irrigation make sure you don’t have too much of the project finished. This is especially irritating if you have to rip out some of the progress to add electrical and water lines. 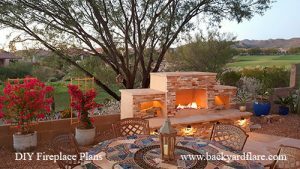 While building your backyard, pay attention to the phases and your project will turn out to be the talk of the town thus your neighbors and family will be in awe. Be careful because you will then be the go-to for the how to. 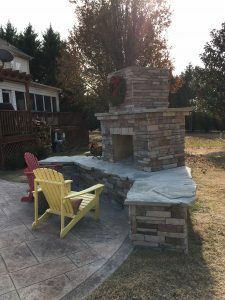 If you need any assistance on a masonry structure like a fireplace, kitchen, pizza oven, and want a DIY construction plan, visit www.backyardflare.com. 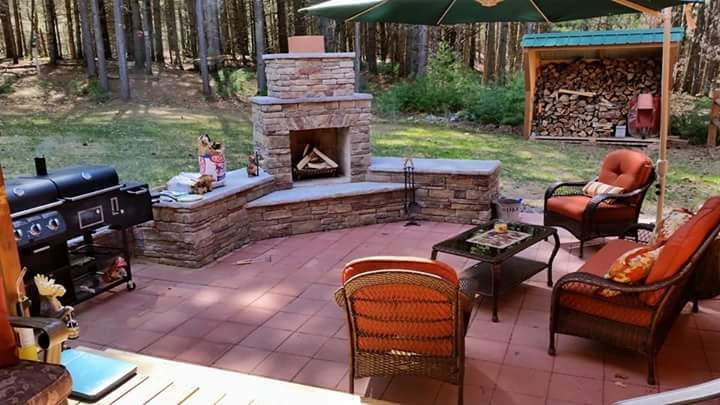 Building your backyard does not have to be a chore or burden. We’ll help you along the way and give you the insight you’ll need to get it done and on a budget. Happy building.